Securities Investors Association Singapore (SIAS) announced on 30-May-2018 to withdraw the ‘Most Transparent Company Award’ awarded to Midas Holdings from year 2012 to 2016. The press statement by SIAS is here. 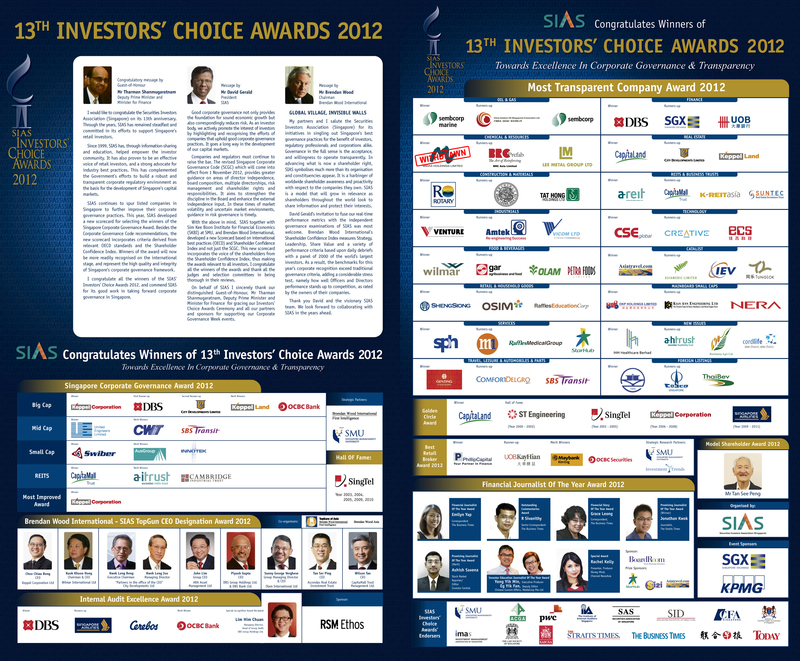 The “Most Transparent Company Award” is given to about 50 companies listed at SGX every year, during ‘SIAS Investors’ Choice Award’ held by SIAS annually. The list of awardees of the past years can be found here: 2012, 2013, 2014, 2015, 2016, 2017. Companies are first evaluated and shortlisted using the scorecard developed for SIAS by CGIO of NUS Business School which includes an emphasis on shareholders’ rights and updated coverage of stakeholder engagement from the G20/OECD Principles of Corporate Governance. Companies are assessed on transparency and disclosures in key areas such as related party transactions, timely financial reports, directorships held in other companies. The selection process also takes into consideration the “Disclosure and Transparency” aspect based on publicly available information and the company’s performance. The shortlisted companies will be reviewed based on qualitative and quantitative inputs with the Transparency Award Selection Committee Members. Companies with the highest scores may not necessary clinch the awards. SIAS awards are presented, in collaboration with industry partners, to companies based on their publicly disclosed information in their annual reports. The aim of the Most Transparent Company Award is to encourage listed companies to be more transparent and to provide timely information to investors to enable them to make informed investment decisions. Until and unless such information is proven to be wrong, SIAS and its industry partners will not be in a position to know whether or not the information is accurate and reliable. Reliance is placed on the audited financial statements and other relevant information in the annual reports for the year the award is being presented. There was no clue of any wrongdoings by Midas at the time the awards were presented. After all, Midas was a favourite with local equity analysts with broking firms. the awards are presented based on the publicly disclosed information in their annual reports. SIAS and industry partners will not know whether the information is accurate & reliable, until proven wrong. … the companies who can paint the best picture and tell the best story in their annual report win, while no one can actually tell if the picture is true and if the story is real. … and it has to be true and real, unless you can prove it wrong or unreal. … since many people are saying it’s real, then it should be real.